Apple Music is a well-known streaming music service, for which we are limited to listen to DRM-loaded Apple Music with iTunes or its’ App and unable to download any songs from Apple Music, whose alleged “offline” listening are only temporarily saved on the cloud for its’ subscribers. Once the subscription is cancelled, we won’t have any access to the Apple Music that we used to listening to. This tutorial is going to introduce you a good way to download Apple Music to the local file on your Mac so that you can keep listening to Apple Music even if you cancel the subscription. Apple Music can’t be downloaded because they are DRM-protected. As long as we can unlock the DRM, we can download whatever we want from Apple Music. Next we are going to introduce a popular Apple Music downloader – NoteBurner iTunes DRM Audio Converter for Mac and guide you on how to download Apple Music on your Mac computer step by step. NoteBurner iTunes DRM Audio Converter is a combination of Apple Music Converter, Audiobook Converter and iTunes M4P Audio Converter. This all-in-one program helps music lovers to easily download Apple Music, audiobooks & iTunes M4P music and save them to local files on Mac, which attracts increasing fans year by year. 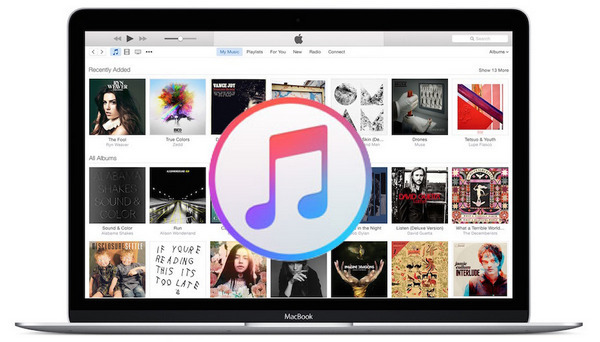 Now let's explore the detailed steps to download Apple Music on Mac. Launch the program. Click the button "+" on the upper left. A pop-up window will show you all your downloaded Apple Music in iTunes. Select the Apple Music you like for converting. Click the setting button on the upper right of the interface, and then a pop-up window will enable you to choose output format ( MP3, FLAC, AAC or WAV ), output quality, as well as output path. Click button “Convert”. When the conversion is done, all your Apple Music you chose in Step 1 have been saved to the local file on your Mac. By clicking the menu button on the top right of NoteBurner iTunes DRM Audio Converter or directly going to the output folder you set in previous step, you can find all the downloaded Apple Music on your Mac.